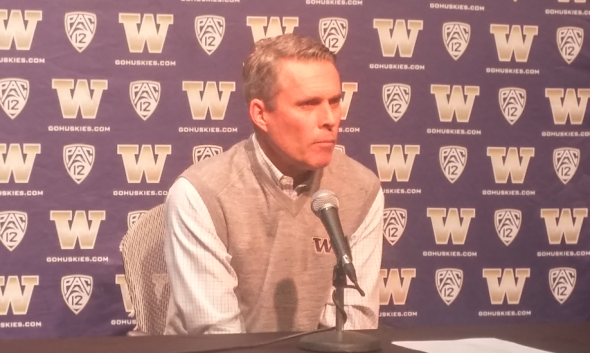 The Huskies coach said bailing on Jake Browning for two series against Cal wasn't about him as much as the bad offense as a whole. 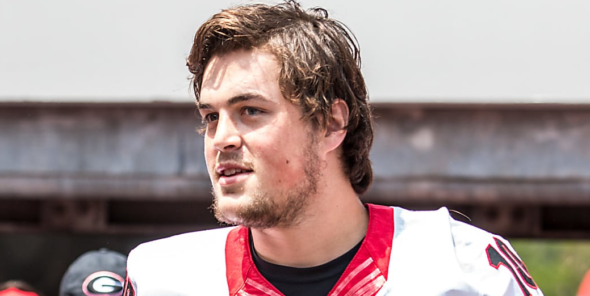 He said backup Jake Haener, a redshirt freshman, has done well in practice. He said he's changed players at all positions over the course of the season. 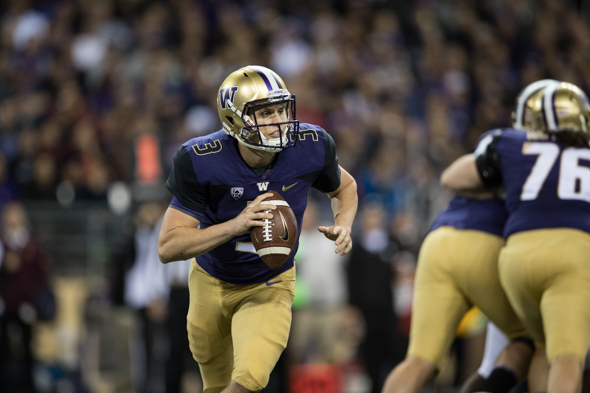 Chris Petersen said he wanted to "shake things up," he said, by benching in the third quarter his four-year starting quarterback, Jake Browning. 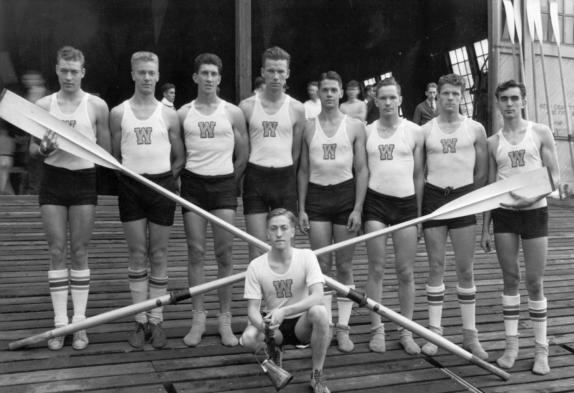 The Huskies coach succeeded. 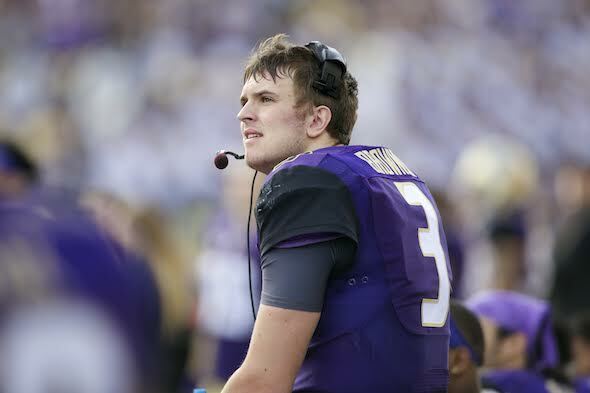 Whether Washington (6-3, 4-2) will stop shaking is the test for the rest of a season that turned abruptly to disappointment Saturday night in Berkeley. 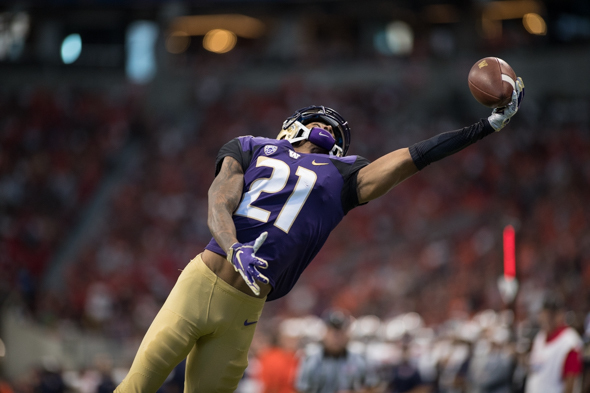 Beyond the 27-13 win over Colorado, news kept getting better for Washington football over the weekend. Later on Saturday, Washington State throttled Oregon 34-20 in Pullman, prompting a drain on statewide liquor sales that likely kept many UW players and most of Western Washington sober Saturday night. It's easier to find to a Husky vacationing in Pullman than to find one who will admit to an emotional hangover from the overtime loss in Eugene the previous Saturday. 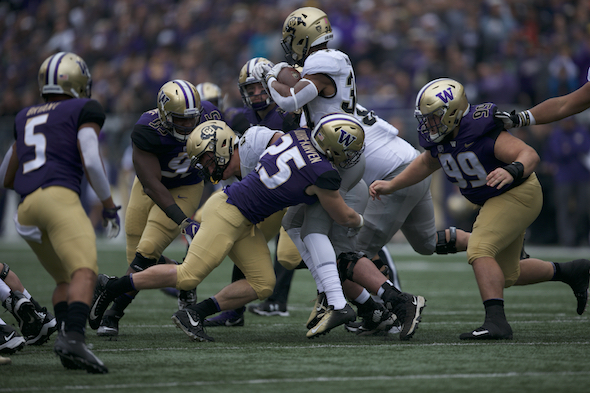 But after falling behind 7-0 in the first quarter Saturday at Husky Stadium to Colorado, and struggling to a 14-13 halftime lead, it was plain some Washington hearts were left broken in the Willamette Valley. 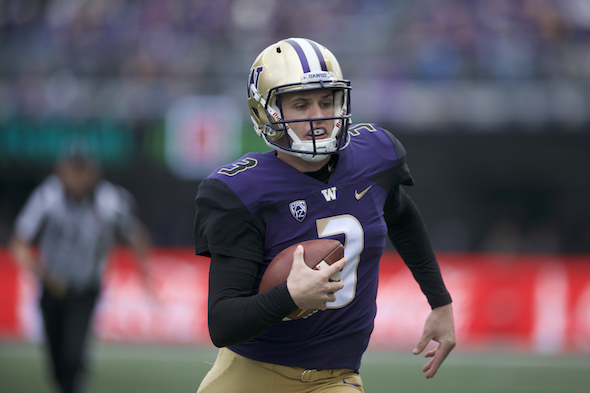 The notion of QB Jake Browning as a runner tends to scare Huskies football fans because his four-year tenure has produced some vivid moments not unlike a giraffe falling down stairs. But without his critical rushes Saturday night, the Washington victory drought against UCLA in Pasadena would have added a 24th year. 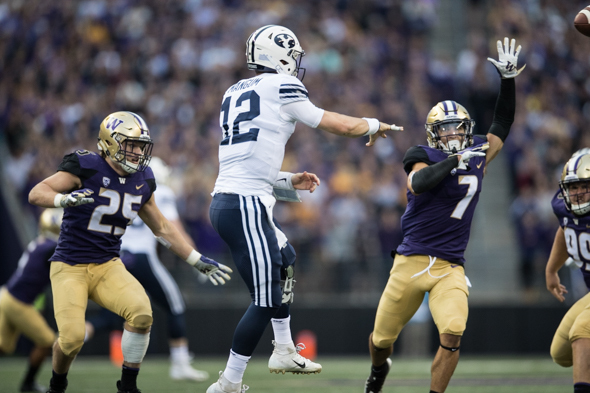 In the final seconds of the first half, after the Huskies missed a short field goal to keep their lead at 14-0, BYU was in desperate search for a way to avoid irrelevance. Instead, they ran into Mr. Irrepressible. Actually, LB Ben Burr-Kervin caught them from behind. The national defensive player of the week roared up along the sideline behind RB Lopini Katoa as he crossed the BYU 20. 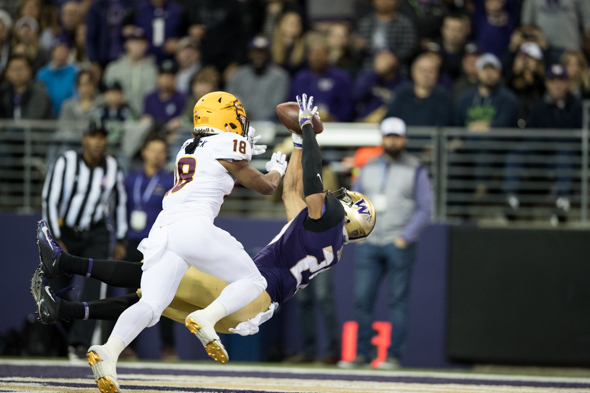 Against Arizona State, a team that has beaten Washington 11 of the previous 12 meetings -- including a 13-7 loss a year ago in Tempe that was the Huskies' most inexplicable game of the 2017 season -- nothing can taken for granted, and every good thing must be cherished. 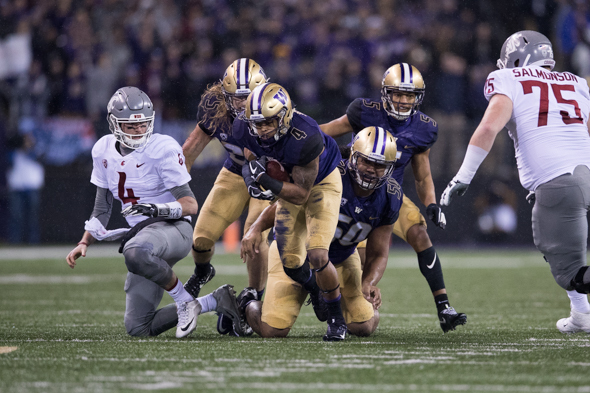 So despite a stylistically modest outcome, which began with an immodest dumpster-fire play, the 27-20 triumph Saturday night (box) at Husky Stadium was vital. For a game that 10th-ranked Washington seemed to control -- no easy feat with Salt Lake City's altitude and attitude in a sellout crowd at Rice-Eccles Stadium -- peril seemed perpetually imminent. 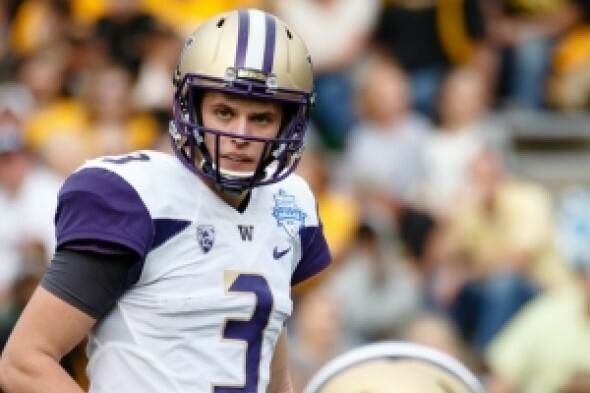 Particularly after one of the most egregious turnovers in the four-year career of Jake Browning. For a 45-3 win (box) that included 632 yards, you can argue it's a stretch to say that the University of Washington's offense was often crappy. But that's because you were not present in person, nor in front of a screen, to see how the Huskies handled themselves Saturday against North Dakota, a program that is to big-time college football what Justin Bieber is to low-post play in basketball. 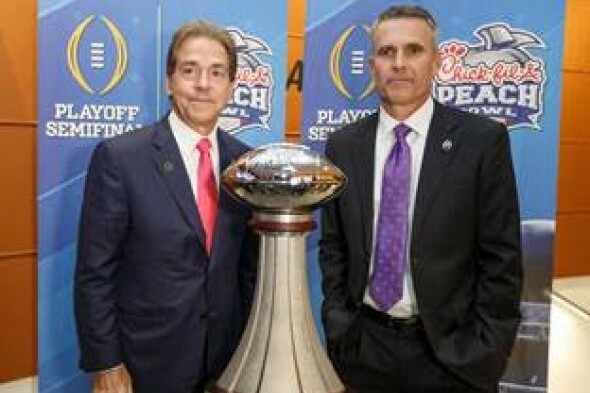 By the time of the December reckoning for the 2018 college football season, the details of how Auburn beat Washington 21-16 (box) on Sept. 1 likely will be forgotten by the NCAA playoff committee members and bowl selectors. 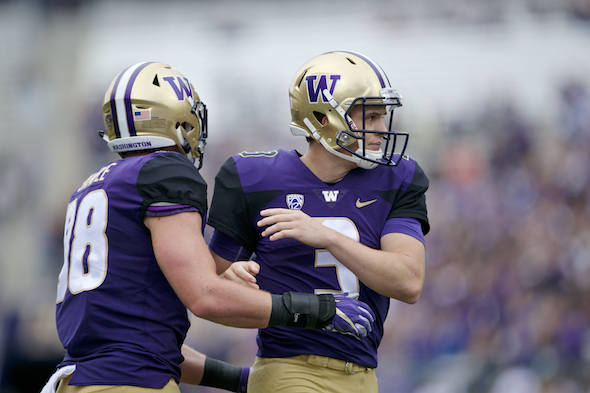 They won't be forgotten by Huskies coach Chris Petersen. In terms of scandal-o-rama, the NCAA is running a distant second to the Trump administration. But since part of the NCAA's mission includes seeing to the welfare of students, they shouldn't even be in the "also receiving votes" listing in a top-25 poll of American institutions. 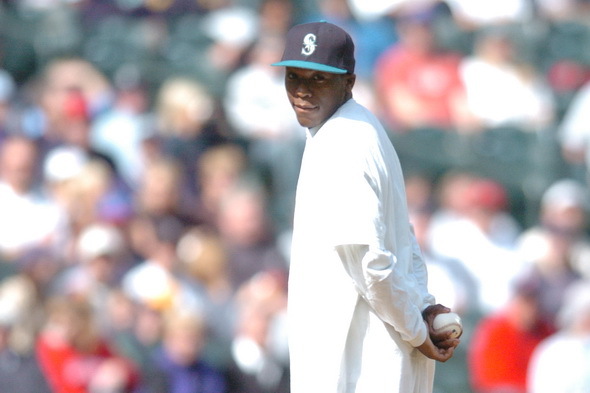 Huskies boosters were doing this long before Robinson's father, UW running back Jacque Robinson, was born. Ask Hugh (The King) McElhenny. The Pac-12 Conference Monday selected 11 athletes, including University of Washington QB Sonny Sixkiller for induction into the league's Hall of Honor. Sixkiller and his fellow inductees will be enshrined March 9 during a ceremony prior to the semifinals of men's conference basketball tournament in Las Vegas. University of Washington football coach Chris Petersen put the finishing touches on his 2018 recruiting class Tuesday, one day after Jacob Eason, a former five-star quarterback out of Lake Stevens High, officially transferred to Montlake from the University of Georgia. 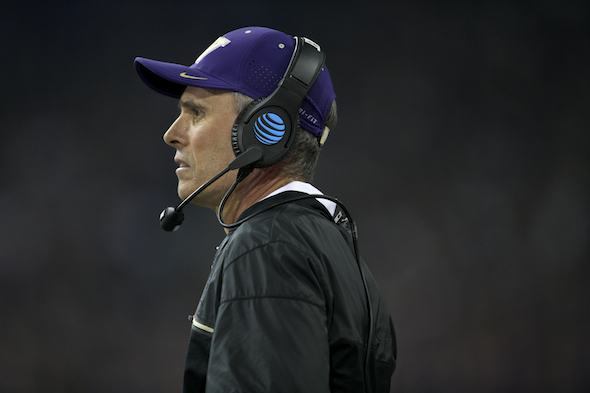 Petersen has not only signed perhaps the Pac-12's best class, but obtained in Eason the overwhelming favorite to succeed Jake Browning. 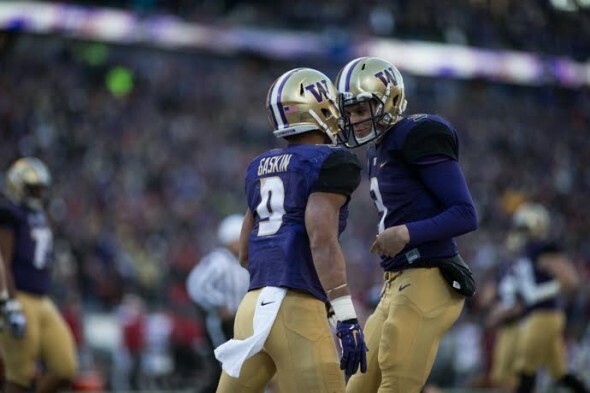 In a move fairly unusual for players with NFL-caliber talent, RB Myles Gaskin said he is planning to come back for his senior season with his University of Washington teammates. 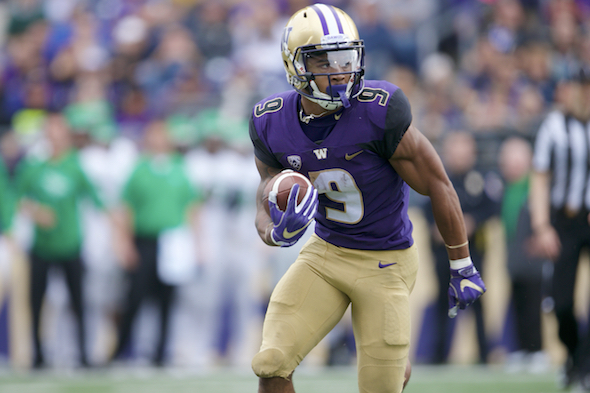 Ahead of Monday's deadline for declaring intent for the NFL, Gaskin told the Seattle Times Sunday he had unfinished business.